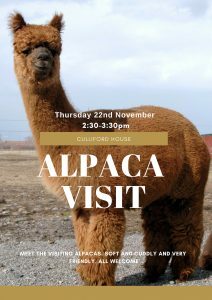 Alpacas are coming to the home this Thursday. Come down and get up close and personal with these beautiful creatures. All welcome.